Coconut oil is amazing! One of my favourite uses for coconut oil is as a hair treatment oil. I had been using coconut oil on my hair for a while when a friend asked me about natural ways to combat hair loss. I didn’t know too much on the subject to begin with other than the obvious diet related stuff so I decided to do some research. What I found was amazing! Sage has so many benefits it’s incredible. It stimulates cell growth so its good for the scalp and amazing for combating hair loss. It helps the body control oil secretion which reduces oily hair. You can apply sage essential oil directly to the scalp too which increases blood flow to that area and encourages hair growth and minimises hair loss. 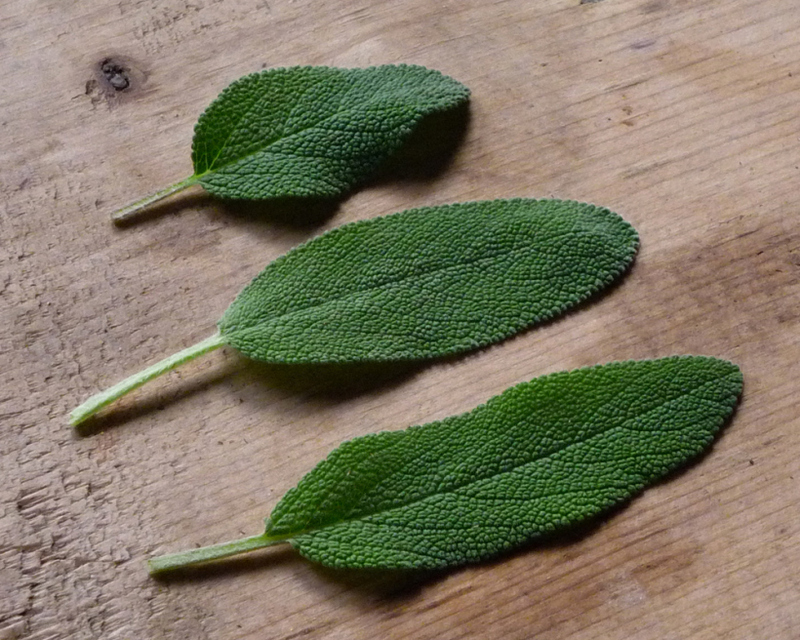 Even the word sage is derived from the latin word salvia which means to heal. Now this hair oil is not just for those who are experiencing hair loss. This is a great hair treatment oil for anyone wanting to rejuvenate their hair. First thing is first, you need to remove as much water content from the sage as possible. This will stop the finished treatment from going rancid. To dehydrate the sage you can either use a dehydrator or alternatively you can use the oven on a the lowest setting. Use a blender, mini coffee grinder or a mortal and pestle to turn the sage in to a fine powder. It doesn’t matter if it’s not completely broken down because we strain the mixture later. Coconut oil is solid at room temperature so during the winter you’ll need to melt the coconut oil in a saucepan by double boiling it (just like when you make toffee) on a low heat in order to retain the integrity of the oil. Once the oil has melted add in the dried sage and keep stirring it at a low heat for about 15-20 minutes. In this time the sage will infuse all its herby goodness in to the oil. Take the oil mixture off the heat and stand it for 10 minutes so the oil cools down a little bit. Add in the sage essential oil and give the mixture a stir. Strain the mixture with a sieve into a jar and let sit to solidify. To use the oil just melt the oil in your hand and coat your hair in the oil focusing on the ends. Ideally leave it on over night and wash your hair in the morning but if thats not an option just leave it in your hair for an hour or so before washing. Your hair will be all silky and smooth! This entry was posted in Beauty, Health & Beauty and tagged Coconutoil, Essential oil, Hair care, Hair Loss, Health & Beauty, Human hair growth, Nature. Can the sage in the spice aisle be used for this mixture? Thank you! I’m going to make it this weekend, add a bit of peppermint, and give it a try! Here’s hoping!!! !